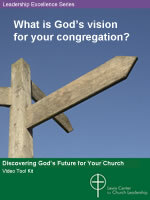 You are at:Home»Leading Ideas»Do Your Church Programs Obscure Your True Mission? If you look at many churches’ newsletters and websites, you might think the most important thing is our programs. We announce this study or that mission trip. We schedule Vacation Bible School and our annual noodle dinner and all-church bazaar. Our calendar has entries for the women’s group, the men’s group, the singles’ group, the youth group, the prayer group, the garden club, the seekers’ group, and so on. All this before we even mention the committees that keep all of this going, and the praise team, choir, altar guild, usher corps, and hospitality group that contribute to our most prominent weekly activity: worship. Is it too much to say that the best thing we do as a church is real relationship? Everything we do as a church hangs on love. Early in my ministry serving a church in a small town, we embraced a vision of activities every night of the week, with lots of people coming in and out of our building. As our church grew, we gathered in different configurations night after night. Along the way, some of us burned out. The meetings didn’t always get us closer to God and closer to one another. I’m not the first to urge churches to reclaim our priorities and not be carried along by programs. But I want to push the conversation further than many do toward relationship as the antidote. When I started serving as a pastor inside the prison, I was promptly told what I could and couldn’t offer to the women in my congregation. My pastoral care class in seminary had us develop a list of numbers to call, and resources to offer, when people came with foreseeable needs. But inside the prison, every one of those avenues of helping was blocked. It very quickly became obvious that I really had just one thing to offer: my presence. I had time. I could listen, ask questions, and do a little bit of talking myself. In those years before my church was in prison, I would use “fixing” as a way to distance myself. If I sit with you in the pain of the moment, I have to feel that pain, too, the pain of unfairness, disappointment, wrongdoing, dashed expectations, and more. I can wall myself off from all that hurt, but along the way I wall myself off from you. It’s no wonder that so many church mission projects entail helping at a distance. We spend a lot of time and energy collecting things like food, clothing, and money. We figure out who’s going to drop it off on our behalf, and we’re proud to report our results on Sunday morning. It doesn’t occur to us that, in all that effort, we never interacted with the persons who would receive what we gave. We go on mission trips to distant places where we intensely help for a few days. Then we head home with stories of what we accomplished and perhaps a few memories of the people whose cares we sought to alleviate. But our focus has been the work and what we have gotten built or renovated or cleaned up. I’ve been on more than a dozen mission trips, but I cannot remember more than a handful of face-to-face conversations with the people whose homes we repaired. We were there with a job to do. Finishing that project seemed much more important than truly seeing and coming to know the people who lived there. Pretty soon our missions take on an ominous “us and them” message. We get set up as generous helpers for “them” or “those people” who desperately need us. We get to be the heroes. We have expertise, time, and money that we graciously bestow on recipients we hope will appreciate what we’ve done. We feel proud of what we accomplished. But we don’t learn very much when mission happens this way. It doesn’t occur to us that “those people” might have wisdom and creativity that would enrich us, were we to get to know them. When I first went to the prison, I wondered how I would be compassionate to these women who had made choices I was sure I would never make. The answer began to emerge nearly as soon as I started talking to the women I met at the prison. I began to hear their stories. I laughed with them and found myself admiring their courage. My question shifted from “How could she do what she did?” to “After all she’s been through, how is she still standing?” Time and presence pushed me past my own walls, and I began to become someone who could enter into real relationship. The women I meet in prison don’t come to me expecting some kind of favor or fix or solution. They come knowing they’ll be met with compassion, welcome, and, indeed, love. Is it too much to say that the best thing we do as a church is real relationship? We might see relationship as an incomplete ideal unless it supports our higher Christian purposes: getting people saved, making disciples, transforming the world. But if we approach relationship only as means to those ends, we can become manipulative. When we are in real relationships, the rest is possible —salvation, discipleship, transformation — in a sustained and not mechanistic way. Everything we do as a church hangs on love. This article is adapted from Foolish Church: Messy, Raw, Real, and Making Room (Cascade Books, 2018) by Lee Roorda Schott. Used by permission. The book is available at Cokesbury and Amazon. Lee Roorda Schott is pastor of Women at the Well United Methodist Church. Located in the Iowa Correctional Institution for Women in Mitchellville, Iowa, it is one of only two United Methodist congregations within prisons in the United States. She is author of Foolish Church: Messy, Raw, Real, and Making Room (Cascade Books, 2019), available at Cokesbury and Amazon.